Grew Up... on romance novels. Educated in a convent, Emma has all the learning of a rich lady – and all the desires, too. Love and luxury go hand-in-hand for the young Emma, who can't imagine one without the other. Living... in rural 19th century France. Maybe if Emma had been born centuries ago, she would have been able to live out her dreams of romantic knights and beautiful princesses. As it is, she finds her current life painfully boring. Profession… housewife. Since her husband is a well-off doctor, Emma doesn't have to worry about providing for herself. Unfortunately, all this does is increase her boredom. Interests… romance, both reading about it and modeling her life after what she reads. Ever since she was a girl, Emma's spent all her time daydreaming about what it would be live like one of her favorite protagonists. But while her marriage to Charles might have gotten her the material luxury of such a life, it hasn't given Emma the passionate romance she longs for. Relationship Status… unhappily married. 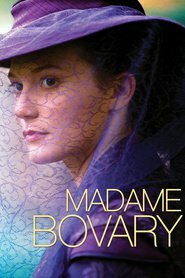 Oh, Charles Bovary is all right – he's rich, he's kind, and he lives life only to please his wife – but he's also incredibly boring. Emma can't even hate him properly; Charles is that dull. Still, there are other attractive men in the area, and having an affair is almost as good as marrying a prince. Challenge… finding love. And not just any kind of love, but True Love – the type that feels "like a storm bursting upon life from the sky, uprooting it, overwhelming the will and sweeping the heart into the abyss." Yeah, good luck with that. Personality… vain, capricious, and hopelessly romantic. Emma's main problem is that she's always bored; from parties to marriage, nothing matches up with the life described in her books. As a result, Emma finds herself flitting from one thing to another, always searching for something – anything – that could take her away from her life. Emma Bovary's popularity ranking on CharacTour is #2577 out of 5,000+ characters. See our top-ranked characters and read their profiles. 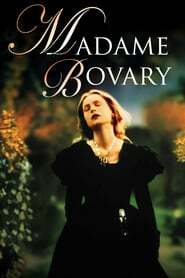 Bored with the limited and tedious nature of provincial life in 19th-century France, the fierce and sensual Emma Bovary finds herself in calamitous debt and purses scandalous sexual liaisons with absolute abandon. However, when her volatile lifestyle catches up to her, the lives of everyone around her are endangered.